This article was first published to Motif magazine on March 20, 2019. 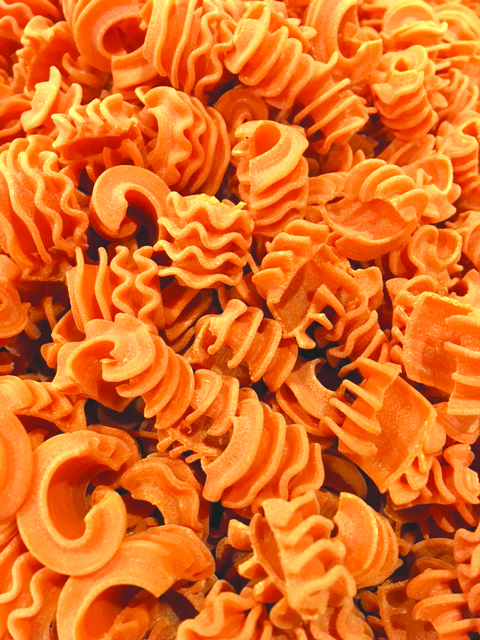 “They look like my wife’s hair,” David Strenio said as he guided the cavatappi pasta cascading from the extruder in perfectly formed ringlets. His wife, Priscilla Moritz, a woman with, indeed, a head of curly hair, laughed and shouted, “On a good hair day!” while sweeping the floor of Prica Farina, the homemade pasta and cheese shop she co-owns with her husband on Warren’s Market Street. 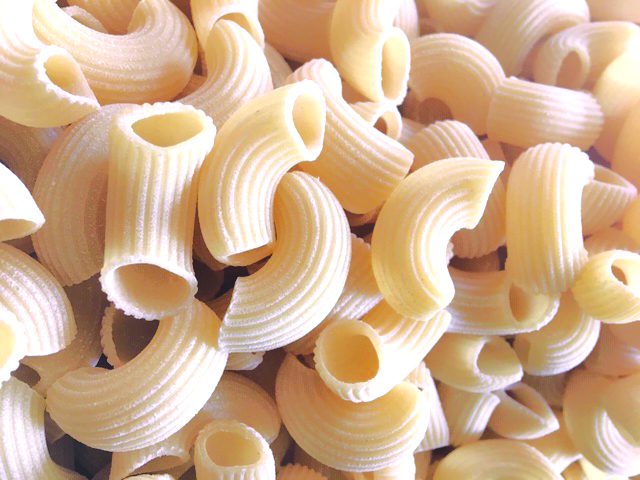 When some think of pasta, perhaps blue industrial-sized boxes of Barilla shining brightly under fluorescent grocery store lighting come to mind: convenient, inexpensive and ubiquitous. But the pasta at Prica Farina is of a different breed. Walk into their corner store nestled discreetly on the corner between Main and Miller Streets, and Priscilla and David will be there to greet you in what feels like their home. The flower pots and open floor plan add to the homey atmosphere, with the pasta-making machines in view as you select from among the daily assortment of linguine, bucatini and a variety of vegetable-based and whole wheat options, as well as the specials, which follow a weekly schedule. For example, gnocchi from Tuesday to Thursday, and Seven Stars bread and cannoli made from Narragansett Creamery ricotta on Saturdays. In addition to pasta, bread and the sweet Saturday treats, Prica Farina keeps a small selection of sauces, jams, cheeses and condiments on hand. It’s a selection varied enough to whet the appetite, but small enough to become familiar; many are local or come from Italy. 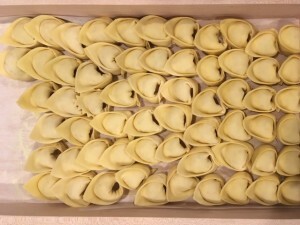 And in case the variety of pasta shapes and fillings become a little daunting, particularly the ones that are not often found in more traditional grocery stores, the couple’s 20-plus years in the food industry and enduring love of pasta provide some helpful guidance. They’ll often suggest which kinds of pasta work well with certain sauces and are now working on a recipe board for some of their favorite dishes to try at home. That way they can let customers know that a pappardelle is best with a Bolognese or ragu, or that a gnocchi might best be enjoyed in a thick, simmering tomato sauce. 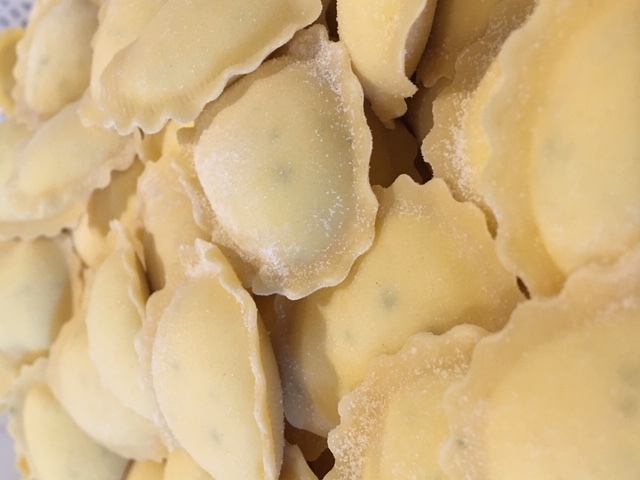 Aside from doing rigorous “field work,” ie, testing out the products myself, I found that the best way to get a portrait of Prica Farina is to watch David with the machinery, where his commitment to the art and science of pasta-making is immediately apparent. 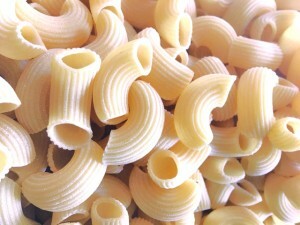 After introducing me to a flour extruder, the machine that he uses to make pastas like cavatappi, fusilli, rigatoni, bucatini and linguine, and his various sets of bronze “dies”– a round device that attaches to the end of the extruder, with a set of holes in the middle that determine what shape the pasta will take — he selected the one that is best for cavatappi. It has three small holes at the bottom and a large one at the top; gravity creates the signature curls. His job is one that necessitates precision and exploration in equal parts. To his flour he adds various wet ingredients, like water, eggs or a combination of the two, and he must adjust his measurements each time because every batch of even the same flour will contain slightly different amounts. 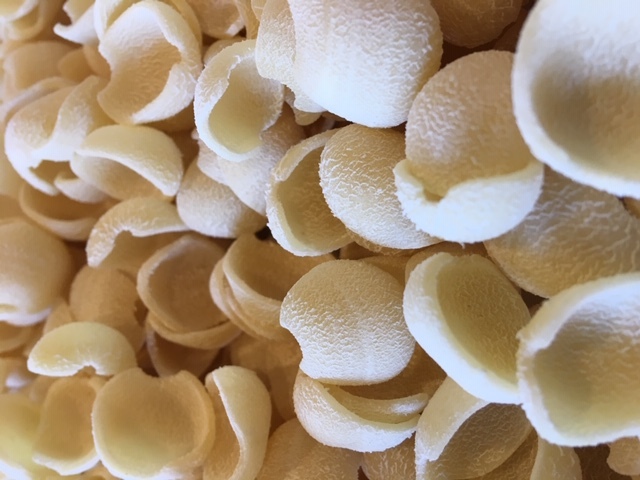 He showed me what remains from his water jug after he mixed it with the flour in the machine — there was maybe a tablespoon left — and he said even that small amount of water can determine whether the pasta that glides from the die will have the right consistency. 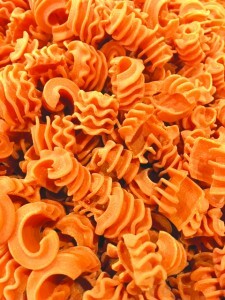 David prepares the pasta every night of the week so that by morning it will have hardened to the perfect consistency. 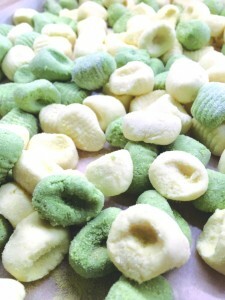 He told me that when pasta is first made, the outside layer is hard, but the interior is too soft. Waiting 12 hours will give the product the time it needs to harden. Lasagna sheets, however, are best consumed fresh, and are always made in the morning. 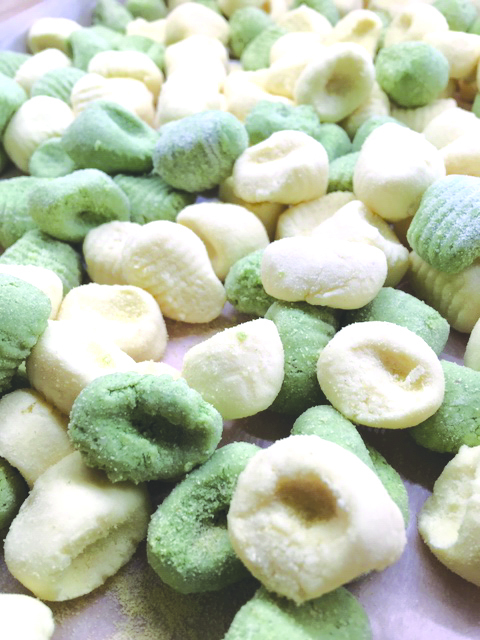 Aside from the daily staples and specials, and the occasional customer request, David has the freedom and creativity to decide what kinds of pastas and fillings he prepares each day. 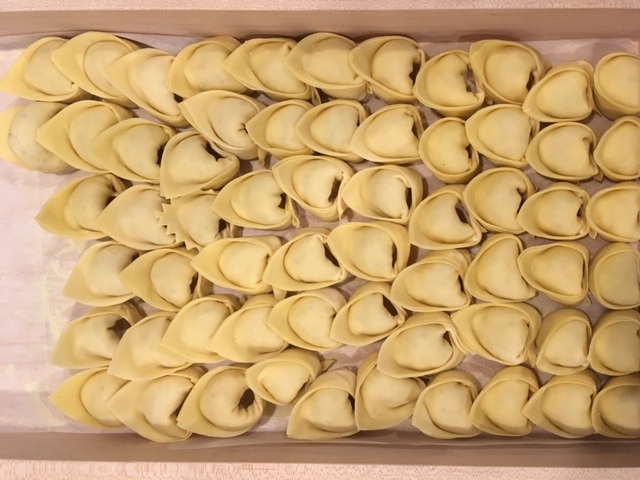 True to its name (Prica Farina translates to “a pinch of flour” in Italian) David and Priscilla wrap each box of pasta like a present and top it off with a dash of flour.